The Salvation Army is a Charitable organization run worldwide by Christians which is organized in a military like structure. The Salvation Army is present in about 126 countries and its headquarters is situated in City of London, United Kingdom. 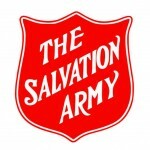 The Salvation Army has its origin dated to 1865 and has more than 1.4 million members worldwide consisting of soldiers, officers, and adherents known as Salvationists. The organization was founded by William and Catherine Booth aiming to bring salvation to poor. The Salvation Army also runs charity shops, offers shelters for the homeless, and provides disaster relief and humanitarian aid. There are currently 0 consumer reviews about The Salvation Army available. Share your review. Please take a note that you are about to post a public review about The Salvation Army corporate office on CorporateOffice.com. This review will be public, so please do not post any of your personal information on this website. If you would like to contact the corporate offices of The Salvation Army, please use their contact information such as their phone number, website, and address listed above to contact them. However, sometimes staff from The Salvation Army headquarters do read the reviews on this website.